Be careful what you wish for! 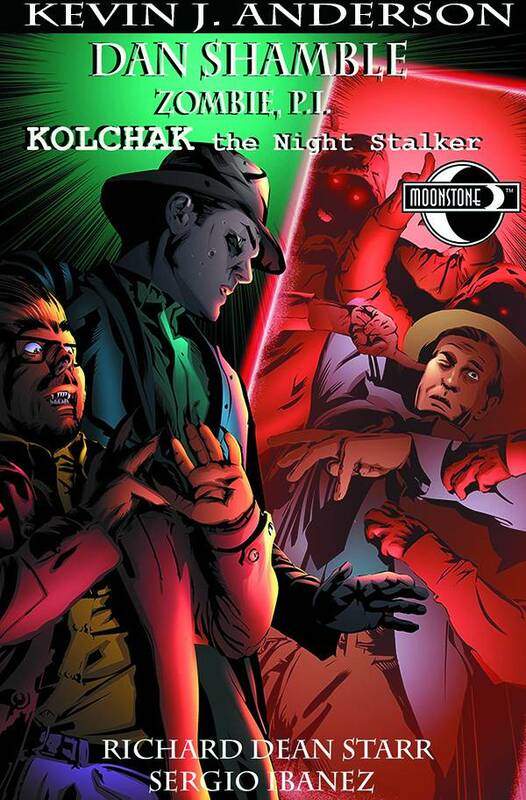 Kolchak, the irrepressible Night Stalker, wants proof that monsters exist - and Dan Shamble, Zombie P.I., lives in a world where he solves all sorts of everyday crimes among monsters. And when a rogue trio of hoodlum genies decides to use dimensional doorways to dump magical toxic waste, and an unwitting nerdy werewolf kid as their bagman, Kolchak and Shamble find themselves in a hilariously confused situation. Best-selling novelist Kevin J. Anderson pens the first comic book appearance of his zombie PI character, Dan Shamble!